Bluehost is one of the largest web hosting brands online. They are an official WordPress recommended hosting provider, and they currently host over a million WordPress sites. 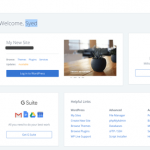 Bluehost offers a free domain, free SSL, free site builder with templates, and a special 60% discount for IsItWP users. Bluehost is one of the oldest and largest brand name when it comes to web hosting. They’re an official “WordPress” recommended hosting provider. They adhere to all the modern standards for hardware and software. Their 24/7 support is always there to help when you need it by email, live chat, or phone. What earns Bluehost the top overall host rating is their reputation, affordability, usability, and the ability to grow with your business. They make it extremely affordable for you to get started with their shared hosting options which comes with a free domain, free SSL, website builder, and more. Once you outgrow the traffic allowance on shared hosting, you can easily upgrade to their VPS and dedicated server options. Bluehost consistently strives for excellence by regularly improving their server hardware infrastructure as well as improving the user experience. Recently, they redesigned their user dashboard to make it extremely easy to start a new site for beginners. They use industry-leading technologies like KVM and OpenStack to make sure your website is as fast as it can get. Bluehost is a regular contributor to open source projects like WordPress. They offer a single-click install to WordPress as well as other popular website builders and blogging platforms. If you’re just getting started, then you really can’t go wrong with Bluehost. Regular price $7.99 / mo but our users pay $2.75 / mo! Get started with Bluehost now! Bluehost’s cheap hosting also known as shared hosting is a perfect option if you’re just starting out and are expecting low traffic volume. In a shared hosting server, your website shares hosting resources with other websites hosted on the same server. This is what allows hosting companies to keep the costs low. While it may say unmetered bandwidth, if your website starts seeing a high load of traffic, then Bluehost will ask you to upgrade to their cloud hosting which is faster and more reliable than shared hosting. Cloud hosting utilizes multiple servers, so in cases of high traffic surge, the automatic failover process will switch you to another hosting server to ensure fast performance. With every shared hosting plan, you get dozens of free website scripts to easily launch your website, blog or an online store, including WordPress, Joomla and Drupal with one-click installers. You’ll also get a free domain name and free SSL certificate to protect your website from data interception and misuse. This reassure your customers that their data is being sent over a secure connection, which can also entice them to do business with you. As part of their shared hosting plan, they also offer free marketing bonuses to help you get your website off the ground. For affordable shared hosting, Bluehost offers the most value for your money. We highly recommend them for all small businesses. In case you’re not satisfied, you can always take advantage of their 30 day money back guarantee, but it’s highly unlikely that you’ll need that! With a dedicated hosting, you’re renting a physical server exclusively for your website. The best part about dedicated servers is that you don’t share resources with any other sites, and the server can be configured specifically for your needs. Built on OpenStack technology, Bluehost offers reliable dedicated hosting at a reasonable price. You can choose from three different pricing plans, and each plan comes with an enhanced cPanel that allows you to easily upgrade your storage space on the fly without admin intervention. With Bluehost dedicated hosting, you get a minimum of 4 cores per server, 1TB of RAID storage, and between four and 16 gigs of available RAM. You can even have more than one hosting service in a single account, including shared, VPS or dedicated hosting. Unlike other dedicated server hosting which takes hours or days to setup your account, Bluehost has the ability to instantly provision their dedicated servers, so you can get started immediately. Because Bluehost owns their own data center, they regularly invest in top-notch hardware and infrastructure to ensure their dedicated servers are top of the line. Bluehost does an excellent job in making sure that your server stays updated with new OS changes and security fixes. However when you start getting into the advanced server optimization and configuration, your experience will vary from each support / system administrator that you talk with. Sometimes, you will be asked to pay additional fees to install certain scripts or modules on the server. Overall though, Bluehost’s dedicated server offers the best value for the money. After shared hosting, cloud and VPS hosting is the next step up. VPS is short for Virtual Private Server. With VPS, while you’re still sharing resources, you have a lot more dedicated power and flexibility for your site. Built using open source technology like OpenStack and KVM, Bluehost offers VPS hosting that’s both powerful and easy to use. Because Bluehost owns their own datacenters, they invest in state of art hardware to unlock breakthrough speeds. With its VPS plans, Bluehost offers you up to four cores and 2GB to 8GB of RAM with guaranteed resources. Every VPS configuration comes with improved cPanel interface, featuring everything found in a shared hosting interface along with special tools for your VPS management. Unlike our VPS hosting services, Bluehost’s VPS are instantly provisioned meaning you don’t have to wait hours or days to have your account activated. You can instantly login and start building your website. Bluehost’s VPS servers are designed to support Secure Shell access, log file access and more. You also get SSD (Solid State Drive) storage ranging from 30 GB to 120 GB. The biggest advantage of VPS hosting is that you have guaranteed resources allocated towards your website, so it can have maximum performance and uptime. You have the ability to do multi-server management, have access control, obtain root access for advanced configuration and more. Bluehost’s VPS offering is amongst the best in the industry for it’s price. Their smart support team will be there to help you along every step of the way. 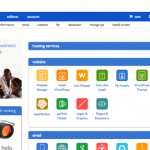 Bluehost is one of the largest hosting brand in the WordPress ecosystem. Officially recommended by WordPress.org, Bluehost stands out among the crowd with it’s strong WordPress offering. They offer 1-click WordPress install, free domain name, and a free SSL certificate for the price of $2.75 per month which is the best when it comes to the quality of service they offer. Bluehost regularly contributes to the WordPress open-source project, and their team is highly-trained to help answer any WordPress question that you may have. They also offer premium themes and plugins through their subsidiary, MOJO Marketplace. 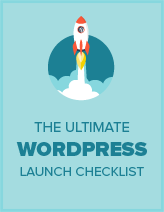 You can also get access to their 1-on-1 expert WordPress support through their WP Live service. In the recent years, they have invested heavily in improving their WordPress offering by improving the onboarding flow, bundling services like security, CDN, caching, staging features, and a whole lot more. If you are just starting your WordPress site, then there’s no better hosting provider than Bluehost in the market that offers the features they do at a very reasonable price point! WooCommerce is the most popular eCommerce platform on the internet. Due to it’s recent growth, many web hosting companies have started offering optimized WooCommerce hosting plans. Bluehost due to it’s strong relationship with the WordPress community was among the first to build WooCommerce specific hosting plans. Their WooCommerce hosting plan comes with WooCommerce plugin pre-installed along with the Storefront theme. With the WooCommerce hosting, you have everything you need to start an online store. You get a dedicated IP address, positive SSL security, dedicated support line, and more. Aside from being officially recommended by WordPress.org, Bluehost is also an officially recommended WooCommerce hosting provider. They’re alway on top of the WooCommerce updates and make sure that you have everything you need to start an online store on a budget. The WooCommerce hosting is built on top of the Bluehost cloud hosting infrastructure so it can handle larger load and traffic than a typical shared hosting plan. Often users get confused between the WordPress hosting vs WooCommerce hosting option that Bluehost offers. While you can use either plan, we recommend using the WooCommerce hosting plan for WooCommerce sites for optimal results. Regular price $13.99 / mo but our users pay $6.95 / mo! Not all web hosting companies are created equal. To set themselves apart from the competition, every hosting provider offers some unique features. So it can be tricky to figure out whether those features are right for your needs. 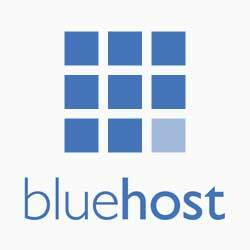 After trying their hosting plans, here’s what we liked about Bluehost hosting. Free Domain: You don’t necessarily need to register a domain name separately since they offer a free domain upon signing up. Affordable: Bluehost plans are affordable regardless of the size of your business. Whether you want to build a hobby website or a new home for your online business, you’ll find their hosting plans reasonable alike. Reliable: 2 million websites can never be wrong, so it goes with saying Bluehost is one of the best reliable hosting solutions in the planet. No hidden fees: You won’t find any hidden fees while creating or renewing your account with Bluehost. If you want a high-speed website, choosing a fast web hosting is compulsory. To test the performance of Bluehost server for our review, we’ve created a test site powered by WordPress, using the default Twenty Seventeen theme and dummy content for theme development, including images. According to our Pingdom’s website speed test, we found that our test site loads in less than two seconds for a server in NewYork City. That means the site is faster than 94% of all tested sites. Just like the speed test, it’s imperative to analyze whether your hosting service of choice can survive a traffic surge. For our traffic surge test, we used a popular testing tool Load Impact, and sent some virtual users (VU) to our site. They gradually built up to 100 visitors at a time to see how the server would handle it. In the chart below, you can find blue (VUs active) and green lines (VU load time) which represent the number of virtual visitors sent to the testing site and the time it took to load the web page for the respective number of users on the site. From our test, it’s evident that Bluehost server can perform without any trouble regardless of the number of visitors present on the site. If you’re looking for a highly performing hosting provider, Bluehost server could be a right fit. It’s also vital to note that no downtime has been recorded during our hosting performance test. 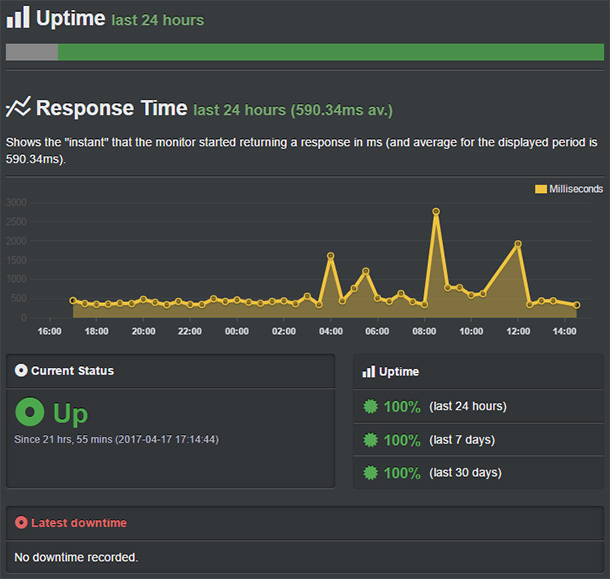 For a detailed look at the server response time, you can see the screenshot below. With no doubt, images often account for most of the downloadable bytes, meaning publishing too many images on a page can significantly impact your page loading time. This also means conducting on a speed test on a content heavy site and a site with no content will be different. Since our goal is to test the performance of our server, not the site, we’ll need to conduct a more accurate test by ignoring the content of our site. For this purpose, we used another testing tool known as Bitcatcha. Bitcatcha works quite differently from Pingdom, the other testing tool we’ve used. With Bitcatcha, you can analyze server response time around the globe by ignoring the content of the site. It averages the loading speed from eight different global locations: New York, LA, London, Brazil, India, Singapore, Japan and Australia. The speed for each location is measured three separate times, and then the results are averaged. With this test, you get a broader overview of how your server responds globally to the page requests. You can see that our Bluehost test site was rated C by Bitcatcha. While the web hosting server responded in just a fraction of a second in the United States, the response time was comparably high in all other locations, but still responded less than a second. That means if your target audience is in the United States, Bluehost could be a great choice for you. On the flip side, if your target audience isn’t in the United States, you might consider using a local hosting server for faster page rendering. Founded in 2003, Bluehost is one of the 20 largest web hosting companies, powering over 2 million websites worldwide. Bluehost is also #1 recommended web hosting company by WordPress.org. Bluehost has a vast knowledge base consisting of articles, guides and how-to’s that has answers to all the questions regarding your web hosting account. Their friendly support team is available 24/7 via phone and live chat to resolve your hosting related issues quickly. They also have an in-house team of WordPress experts who can resolve any WordPress related inquiries. The big downside is that recently they’ve made the decision to discontinue ticket support in an effort to focus more on providing personal and direct support through phone or chat. This can be frustrating to users with more advanced issues that may take a bit longer to resolve. Built on cPanel, Bluehost has a custom interface that lets you easily manage your website and server without hassle. They also offer 1-click install option for popular website builder tools like WordPress, Joomla, Drupal, Magento, Weebly, Prestashop and many more. Bluehost offers the most competitive prices in the industry for their level of service and performance. With 24/7 support, features like free SSL, and more, this is the best value you’re going to get. To make it even better, they’re offering our users an exclusive discount if you use our Bluehost coupon code. When you’re starting out, we recommend going with the starter plans in the respective categories. You can always upgrade your hosting account as you grow. Shared Basic 50GB Unmetered $2.75 / mo. Cloud Starter 100GB Unmetered $6.95 / mo. WooCommerce Starter 100GB Unmetered $6.95 / mo. VPS Standard 30GB Unmetered $19.99 / mo. Dedicated Server 500GB 5TB $79.99 / mo. Having helped thousands of users choose a web hosting plan and start their website, we have answered just about every question you can think of. Here are some of the most frequently asked questions about Bluehost. Which Bluehost plan should I get? The answer really depends on what are your hosting needs. If you’re just starting out, then we recommend starting with the Bluehost shared hosting plans. If you’re starting an online store, then we recommend using their WooCommerce cloud hosting which is specifically designed to handle eCommerce websites. Where are Bluehost servers located? Bluehost servers are located in Provo, Utah and Houston, Texas. Bluehost can most definitely handle high traffic. It all depends on which plan you’re on. If your site starts consuming too much resources, then Bluehost will ask you to upgrade to a higher plan. Can I upgrade my Bluehost plan later? We always recommend users to start with the smaller plans and upgrade as needed. Bluehost makes it very easy for you to upgrade. Does Bluehost offer a month-to-month payment option? Bluehost does not offer month-to-month payment options for their shared plans. For higher plans like VPS and dedicated servers, they do offer monthly payment options. Although it’s important to note that they offer significant discounts for longer-term deals. Can I create subdomains in Bluehost? 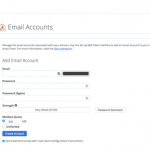 Yes, you can easily create subdomains in Bluehost using the cPanel. Do I have to register my domain name with Bluehost? No, you do not have to register your domain with Bluehost. You can use Godaddy, NameCheap, or any of your preferred domain name registrar. Although Bluehost does offer free domains to our users, and it does help keeping them all in one place. Does Bluehost offer free SSL? Yes, Bluehost offers free SSL with all of their plans. Ecommerce plans come with dedicated IPs and private SSL. Do I need to purchase the addons that Bluehost is offering me? No, you do not need to purchase any addons at the time of purchase. Should you decide that you need them later, you can always add them to your account. Does Bluehost offer a free CDN? Bluehost does not offer a free CDN, but they integrate with Cloudflare’s free CDN service. What is Bluehost domain privacy protection? Bluehost domain privacy protection allows you to keep your personal information private. This means when someone looks up your domain name’s WHOIS information, they will NOT see your personal address, phone number, etc. Can I create an ecommerce site on Bluehost? Absolutely. Bluehost’s WooCommerce hosting plan comes pre-configured with all the things you need to start an online store. Wondering how Bluehost stacks up against other web hosting companies? See our side-by-side comparison to see for yourself. Bluehost is one of the best web hosting companies for small businesses. With all the different hosting options, you can easily find the plan that works for your business. They’re also an officially recommended host by WordPress.org, so if you’re thinking of using WordPress, then you can’t go wrong with Bluehost. What I really like about Bluehost is that they grow with your business. Beginner users can start small to keep the costs low and upgrade as their website grows. If you’re looking for a host that offers robust performance, uptime, and a complete feature set at a fair price, then Bluehost is for you! I have a website that has on off periods of traffic so there are points where I have a lot of activity on the site, as you mentioned they can handle large amounts of traffic, but it all depends on the chosen plan. It’s not optional in my view to have to choose a plan, and pre determined specs of server. When it comes to these kind of dilemmas in choosing a packet especially when you can predict the exact amount of traffic your website will be generated then I recommend something like Dynamic Edge with elastic resource allocation offered by dhosting[dot]com their server automatically gives you more resources as needed without your intervention or having to contact support. Do NOT use Blue Host!!!! Not only did they give my phone number and email out to every person in the entire world, BUT after having my membership cancelled for one whole year they charged my visa randomly! My bank is currently looking into this, and I have been nothing but unhappy since trying this out! When I copied the description on my visa statement and pasted it in google, it looks like TONS of people have the same issue. Also, when I first signed up, I received almost 3-4 spam phone calls a day of which they left messages and it was to the point where I almost cancelled my voicemail! The one and only reason I am giving this company a semi-decent review is mainly because of their ONE knowledgeable support agent. I would call in COUNTLESS times and request alanna keel to assist me with my server as EVERYONE else would keep me on hold for 30 minutes or more. I had my site migrated to my VPS account, which mind you, I PAID FOR!! Long story short, the migration was extremely messed up and my sites were all types of broken. After being on hold for an hour waiting for “Steven” the apparent manager to come to the phone (Apparently managers are too busy to attend to customers, WHO KNEW) I hung up and got an unexpected suprise when I called back. After explaining my frustration for the THIRD TIME, I got alanna who actually fixed my sites within 15 minutes. All 4 of them. Didnt even put me on hold. They were fixed before I ended my story, if were being completely honest. Bluehost needs more employees that know what they are doing. 2 years ago, I could call in and have my problem fixed in 2 minutes. These days, the support is so slow. ALSO DO NOT OPEN A CHAT, I DONT THINK THEY CAN UNDERSTAND SIMPLE ENGLISH. I feel bad for employees like Alanna, who are CLEARLY picking up the slack for the poorly trained agents they currently have, Unfortunately, after october I was unable to get in touch with my favorite agent so I ended up cancelling services with Bluehost and moved to Godaddy. I give Bluehost an 80/100 for one reason only. The superior support from ONE person I talked to out of 20. Host with caution!!!!!! It’s not a new thing that blue host is the best hosting service. I manage 5 websites of my own and all are hosted under bluehost since 4 years and till now I am not facing a single problem! So, I recommend everyone to use bluehost. We’ve been using Bluehost since 2008 and wouldn’t use any other firm. They make everything easy from setting up a new site, to managing the content. And they have extremely fair pricing for a small business. We would highly recommend them to anyone looking (and do!) and to that end, we have even added services they offer to our regular hosting. I like Bluehost customer service the best. They are polite, speak English very well, and are very helpful. I like your prices also. I didn’t like the email servers getting blocked by AT&T servers, but I know you didn’t do that. Something I think all your techies should know that is if a customer can’t delete an empty subdomain folder, they need to delete the upper level url too. That’s it! Thank you for helping me to earn some pocket money. I always receive intelligent service/help when I call. I’ve been using Bluehost for about 6 months. So far, it’s been very good. I haven’t had any problems that I didn’t cause. The platform is stable. I’m happy with it. We have had no issues with Bluehost. On the few occasions we’ve needed support responses have been prompt. Very happy with Bluehost as a web hosting service; I highly recommend their services. Word Press is easy to work with and so glad to had Word Press to set up my website. Reg. Price $7.99 - Save 63% Off! All Bluehost plans include a money-back guarantee.